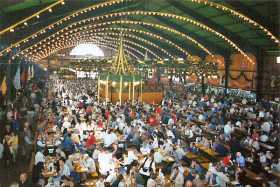 "Ein prosit, ein prosit, der Gem�tlichkeit" - with these words echoing around the beerhalls, Oktoberfest 2000 ran from 16 September to 3 October. 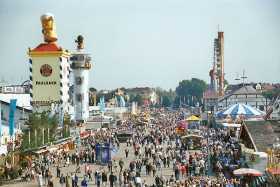 The world's greatest beer festival is held at the Theresienwiese (Theresa Meadow) in Munich every year, and is known simply as Wiesn. 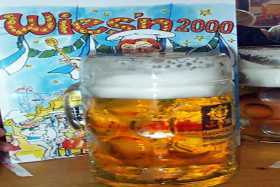 7 million people partied in 2000, and knocked back 60000 hectolitres of beer! 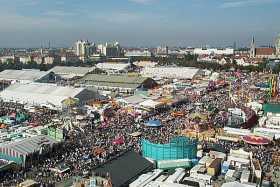 I wanted to experience the Wiesn since I was first aware of its existence, maybe 10 years ago, but I wasn't really prepared for the sheer size of the event, or the fun that I had participating. 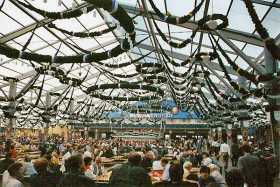 The atmosphere inside the beer tents is amazing, particularly at night, when the band is in full flow, and there are thousands of people standing on the benches and tables, singing along, toasting each other with their Ma� (the wopping 1 litre beer glasses). 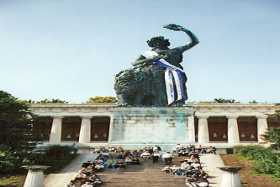 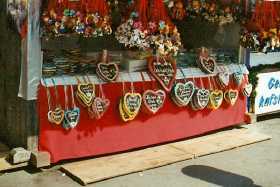 Everywhere you went in Munich you would hear a common refrain "Hey, hey baby, I wanna know if you be my girl". 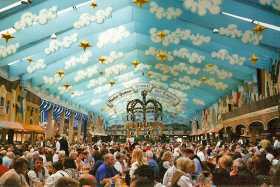 This was the Oktoberfest 2000 unofficial anthem, and it was a rousing experience belting out this and other songs such as Anton aus Tirol and others in the beer tents, swaying around on the benches, Maß in hand, and shouting "Oans, zwoa, drei, g'suffa" (1,2,3 drink). 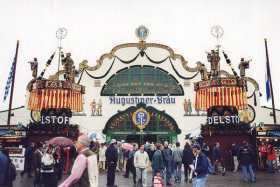 I spent a lot of time in the Augustiner tent, enjoying Edelstof, the Wiesn beer brewed by JW Augustiner. 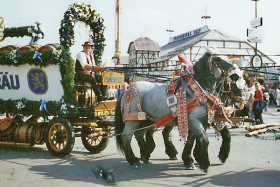 This is a terrific beer, a perfect compliment to the festivities. 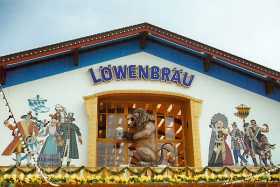 I tried other beers, such as the Hacker Pschorr beer, and the Spatenbr�u, but they didn't quite match up to Edelstof.